For the past 10 years I have been writing, researching and manufacturing, ever purer and better forms of Omega 3 Pharmaceutical Grade Fish oil. Today I want to summarize some of the more important aspects of fish oil and heart health in condensed form. First off, no matter what anyone tells you, heart disease, for most of us, is an inflammatory process. It is NOT caused by high cholesterol although certain forms of high cholesterol are “markers” for it. As is often the case, so called modern medicine has treated one of the symptoms of the disease not the disease itself. The disease is actually inflammation and it is a common problem of us, in all of our organ systems, not just our heart. In our joints, it causes arthritis, in our brains it causes dementia, in our blood vessels, the area of our body that is most exposed to harmful chemicals (perhaps next to our skin) it causes clogging. The real cholesterol we are trying to fight is the result of and part of an inflammatory response in our body. We call it “oxidized” cholesterol, since it is a part of the inflammatory chain. In truth, there is nothing wrong with having an inflammatory response. It is a normal response to an abnormal diet and abnormal life styles. It is clear, from research and ever mounting data, that the simple addition of Omega 3 fish oil, in higher quantities, to the diet would reduce heart disease deaths in this country by about a quarter of a million people a year. And reduce health care costs by hundreds of billions because of its effects on all forms of heart disease, including congestive heart failure, regular old coronary artery disease, irregular heartbeats, dementias, cancers and other forms. The data is still being ignored and “traditional medicine and traditional medical journals (also known as drug company sponsored medicine and drug company sponsored journals) continues to publish “refutes” to the use of fish oil. 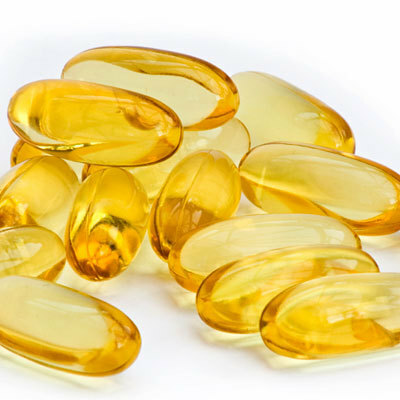 The most recent one got picked up by the lay press and published as “fish oil not good for heart disease”. In this study, several thousand older Dutch participants were given a small dose of fish oil Omega 3’s ( EPA and DHA of about 300 mg) in a stick of margarine ( what was in that?) an average of 4 years after they had already the diagnosis of active heart disease . These people were on an average of 4 prescription drugs and had an average age of just shy of 70. What this study really showed was, that if you give older people who already have heart disease and are already on 4 drugs for it, too small a dose of fish oil type omegas, in a vehicle loaded with god only knows what kind of inflammatory fats (margarine), you get no additional benefits by adding fish oil. This was published by a “reputable” journal. One that would never dream of publishing such a poorly done study on ANY supplement. Predictably though, it had the effect they wanted. It got picked up and disseminated as fact, to the internet. It seems people are so bored of hearing good things, that sooner or later, the only thing that sells, is something “bad” even if it ‘s manufactured. The data on healthy hearts and fish oil goes back almost 40 years now and in my opinion, the fact that we are not using it in higher doses, on more people is not only not scientific, its malpractice. Reduction of the inflammatory fraction of cholesterol, the oxidized LDL, is one of the many things fish oil does that is good for your heart. It also lowers triglycerides, which are part of the inflammatory cycle, when they are too high. It also improves insulin response, decreases organ and subcutaneous fat, which fights obesity. It also reduces the types of cholesterol fractions that are associated with people who have “normal” cholesterol, but still have heart attacks. The percentage varies, but somewhere around 40% of people who have heart attacks, have “normal” cholesterol. This is because of genetic, environmental and nutritional (diets low in Omega 3’s for instance) factors that cause “undetectable” forms of cholesterol to rise. These things have names like Lp(a) and various apoproteins. The bottom line here, is that there are tests like NMR of the lipids and VAP (some have other names) that will test for these so called hidden markers and that is what they are, markers of inflammation, that raise your risk of heart disease, but your insurance company is not going to pay for them and your doctor is not going to order them. So, if you have high cholesterol, you automatically (and medical-legally must) get a statin and if you don’t have high cholesterol, you can still get heart disease. But again, your doctor is not likely to recommend fish oil, since he or she doesn’t believe in it, or doesn’t know about it, or doesn’t think you are at risk. Talk about a crap shoot! Then again, you could take fish oil, since it changes the fractions of cholesterol to more beneficial and less dangerous, often without changing the total number. It also increases your good cholesterol (again in the meaningful fractions) and it decreases almost every marker of inflammation you’d care to measure. But no drug company is making trillions off of it yet. They are, however, trying to create new drugs, to lower these “hidden” types of cholesterol. While we wait for “FDA approved therapy”, millions of people will get sick and die and the therapy will have serious side effects, guaranteed. If that is not MAL-evolent Practice I don’t know what is.